We have a blog tour today which is close to my own heart. As a writer I jumped on the opportunity to participate in this tour. My apologies for the delay. I had some technological problems this morning. Enjoy and have a wonderful weekend! Being an author in today's rapidly changing world not only encompasses the creation of words and characters appearing on the page. Being an author is also a job which entails the wearing of many hats from creator to promoter, savvy tech person to being informed on certain legal aspects and rights of the business side of publishing. 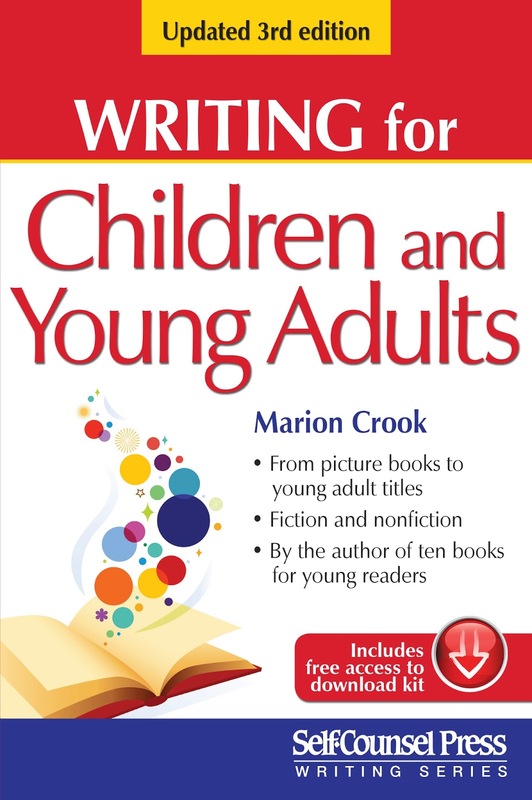 Writing for Children and Young Adults by Marion Crook is a guide which will certainly help any writer aspiring to create stories or non-fiction for children of all ages. 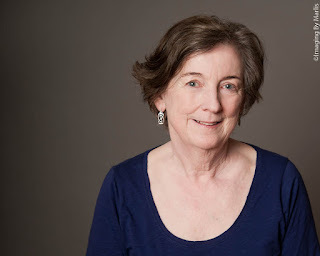 In the first part of her book, Crook touches upon the important aspects of writing, explaining the important basic elements like character, setting and point-of-view. Along with helpful examples, she shares her own experiences along the way. The author covers all of the necessary bases from the various genres, the differences between the many types and styles of children's books--including a breakdown and explanation of the various age groups, along with a discussion of content and language. Everything is presented to the reader in a crisp, brief, easy to understand manner. There is a very helpful section on writing non-fiction which I appreciated since writers never know if they want to explore other genres besides what they started out in. From coming up with an idea to creating an outline, keeping in mind curriculum, specialization, and the importance of getting the appropriate age-related reviewers, this section touched upon all of the necessary components. There is also a section on the types of publishing available today (traditional and self-publishing), how to prepare your manuscript, writing a synopsis and query, the author's platform, agents, copyright, royalties and more. Again, Crook is thorough and keeps the pacing steady while always informative. Today's author is not only a wordsmith but also a business person and promoter. This book addresses these changes. Besides creating, writers have to know how to go about getting the word out and 'selling' their work. There's an entire section on "Marketing Your Book Online," which touches upon all of the necessary parts of the 'business' part of writing from websites to tours and formatting e-books, followed by another section on "Book Promotion." There is certainly a lot of information to be gleamed from this book! At the end of the book there is also access to a download kit which includes samples, resource guides and more. 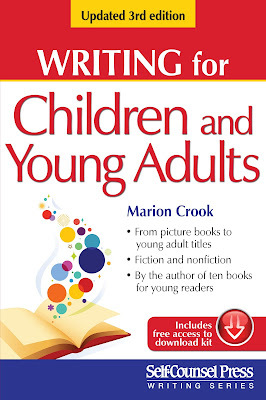 As an author of YA and NA stories and novellas (and an aspiring picture book writer), I recommend Writing for Children and Young Adults by Marion Crook. The concise writing, coupled with the right amount of space given to address the assortment of subjects covered and information conveyed from someone who has been in the publishing world for years, will be a helpful guide for writers curious about or just starting out in writing for kids and teens. What a great review, Laurie. I am really pleased that you found my book helpful, particularly because you are an experienced writer and know what to look for. I hope the book and your review encourage new writers to start writing. Children and YA is a lively genre.